While reading blogs today I was inspired to get down to work on this quilt that has been in my pile for several years now. 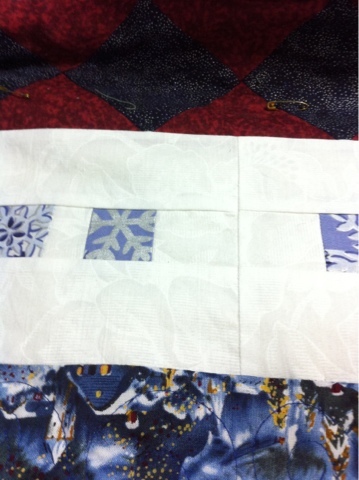 It is a Christmas Round Robin I did with some of the ladies in my quilt guild. I made it to put on my futon in the front room, where I decorate with blue and silver. 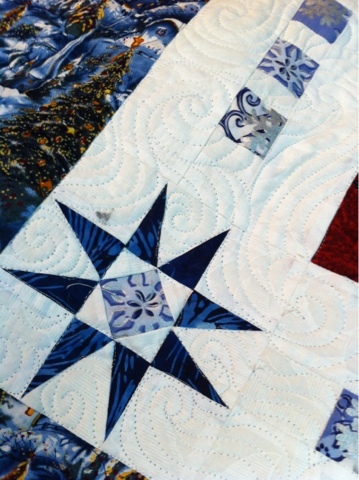 A couple of years ago I actually basted it and quilted some feathers in the center block (which is a feathered star) Then I started quilting the outside border with some swirls, and from there it went into a pile for "later". I decided it was time to finish it up this year, even if it is past Christmas and I can use it next year. I finished the outside border - the blue print with trees and houses you see in the pictures. 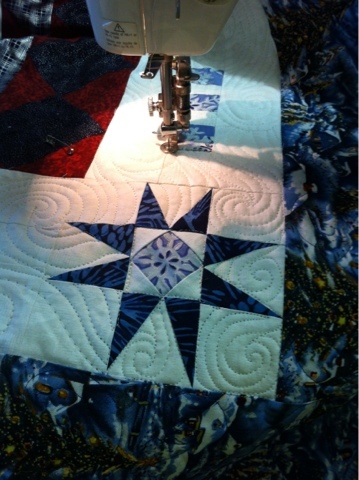 The next border I wanted to work on was this one, white with blue squares and stars in the corners. I had a lot of fun looking for inspiration for something icy or snowy. I decided on this fun design, kind of a McTavishing variation with swirls. I knew it would be a little tricky working around the small squares, but I thought this would be easier than something more angular and crystal looking. The one thing that really made me unhappy was that i got a couple of grease spots on it. I oiled my free motion foot because it was sticking a bit, but I guess I didn't wipe it off as well as I should have and ended up with some spots. I will just have to pre-treat those when I wash it so they will come out. Next I think I'll work on the border that has dark blue squares on point. I have a plan for that, too, just need to remember where I saw it! I'm excited to get this quilt finished so I can enjoy it! Love the swirls! 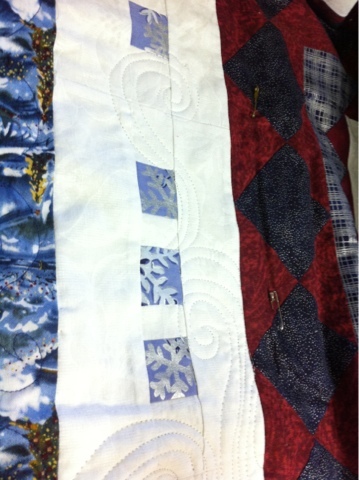 One of my favorite things to quilt. So sorry about the grease spots, hopefully the will come out in the wash. Your swirls look great...they are my favorite motif. If you like to be perfect, fine....but I would rather be finished and warm than undone. And once it is washed, no one will notice an extra wiggle or two. The swirls look great! And the more you practice, the better you'll become. As far as the grease spots, I've had some luck with M30 Stain Remover. But don't wait until you're finished, spot clean it now as it gets harder to clean the longer it sits. The swirls were a perfect design choice...love it! Looks good...love the swirling. It's so fun to do some projects for our selves. Hi! I am Pamela Boatright. 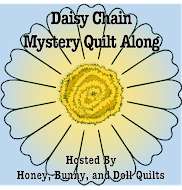 I've always wanted to be a writer, and love quilting so this is the space where I get to put both of my interests together! I also enjoy teaching and creating original projects, so this is a great place for sharing those. I hope you enjoy your visit here and are inspired to go create something beautiful and useful!